On Saturday morning, my friend Liz and I set off on a short road trip…destination: Shall We Knit? 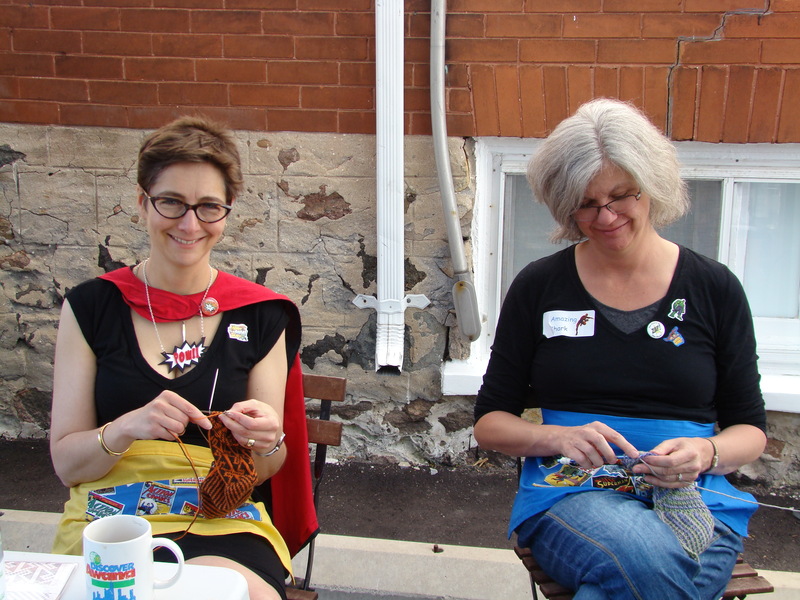 in Waterloo for their annual World Wide Knit In Public day. 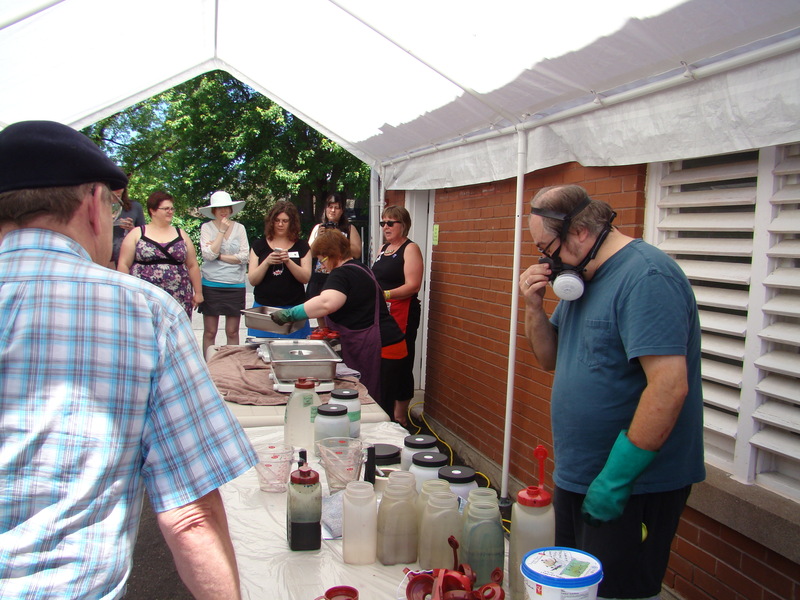 They had hosted quite the gathering last year, and we thought it would be a fun way to spend a day and see some fibre-friends. 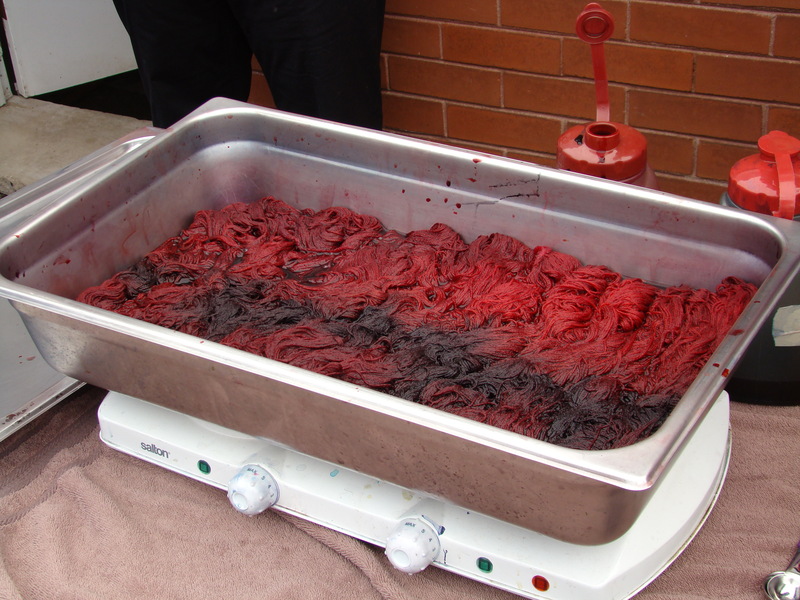 Kim and Ron of indigodragonfly were on hand for a dyeing demo – proceeds going to the Canadian Breast Cancer Support Fund. Cardinal Ruby – one of the four colourways to be auctioned off for charity! 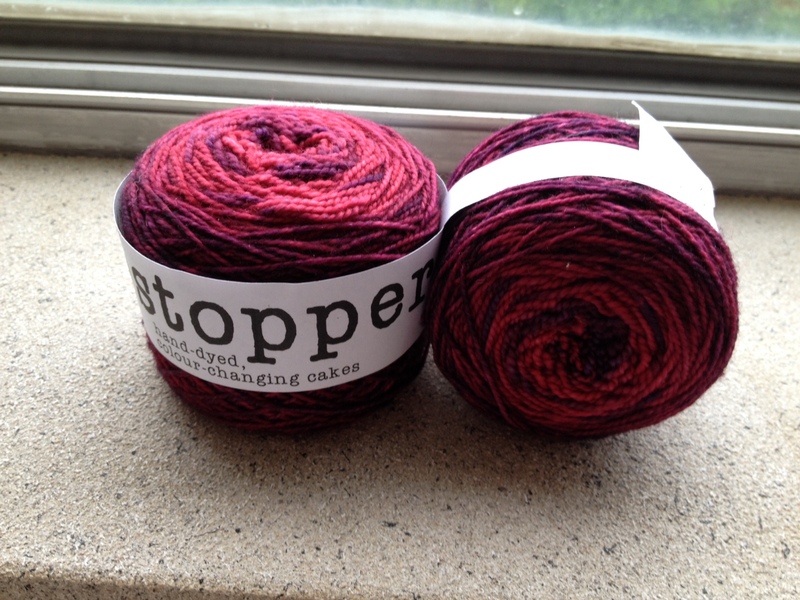 The only picture I got of Marit’s Gobstopper hand-dyed gradient yarn is one of the skein(s) I purchased myself. The colour is so much more awesome than this picture shows. I can’t decide if these will be socks, or long fingerless mitts. 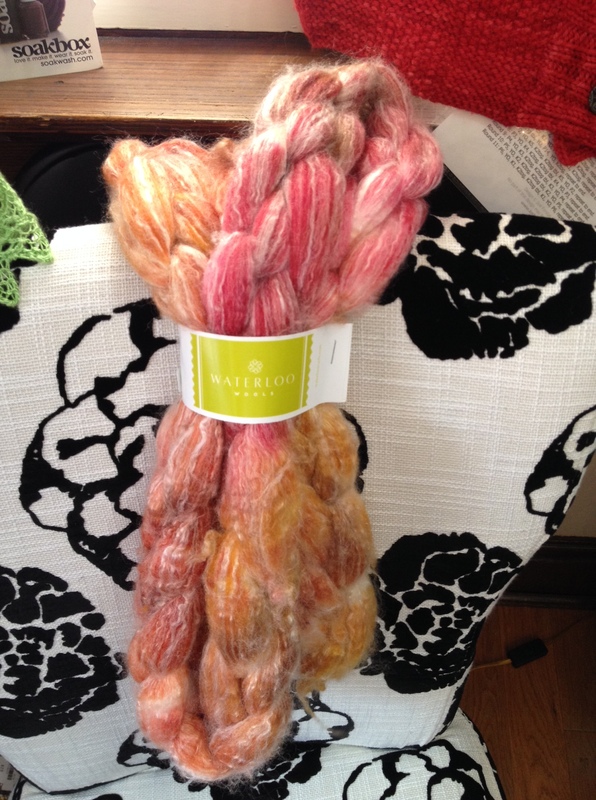 And I may have fallen down on some yummy merino tencel fibre from Waterloo Wools. I even won a door prize! 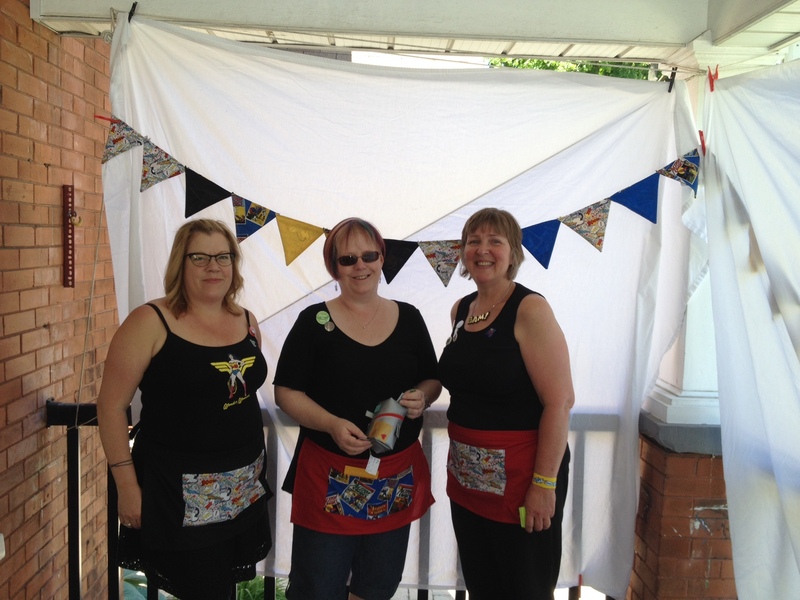 Thanks so much to the lovely ladies of Shall We Knit? for hosting such a lovely day! This entry was posted in Uncategorized and tagged fibre, gobstopper, indigodragonfly, kate atherley, merino/tencel, shall we knit?, waterloo, waterloo wools, wwkip by Rayna. Bookmark the permalink.